As soon as autumn hits, I always feel fully in my element. I feel practically naked in the summer months because I miss layering my looks with cardigans, scarves, boots and tights. Spicy, warm scents always fill my home this time of year. And the return of the PSL? You best believe I'm first in line at Starbucks!! 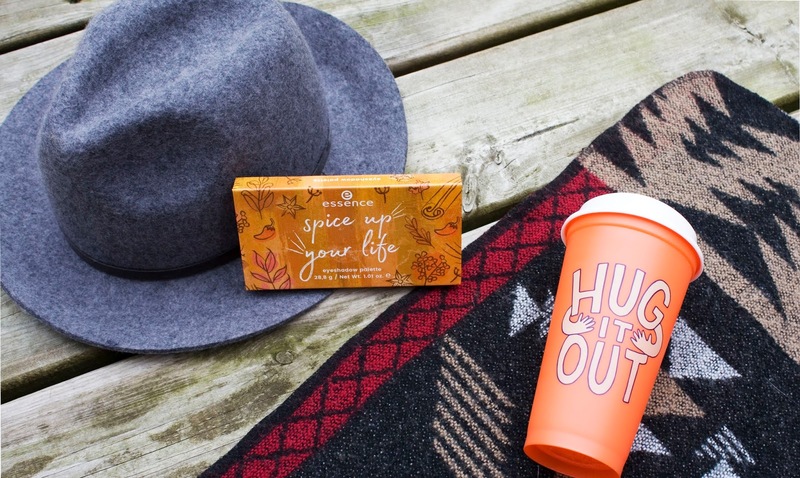 Essence Cosmetics must have heard about my love affair with fall, because they recently released their Spice Up Your Life eyeshadow palette! 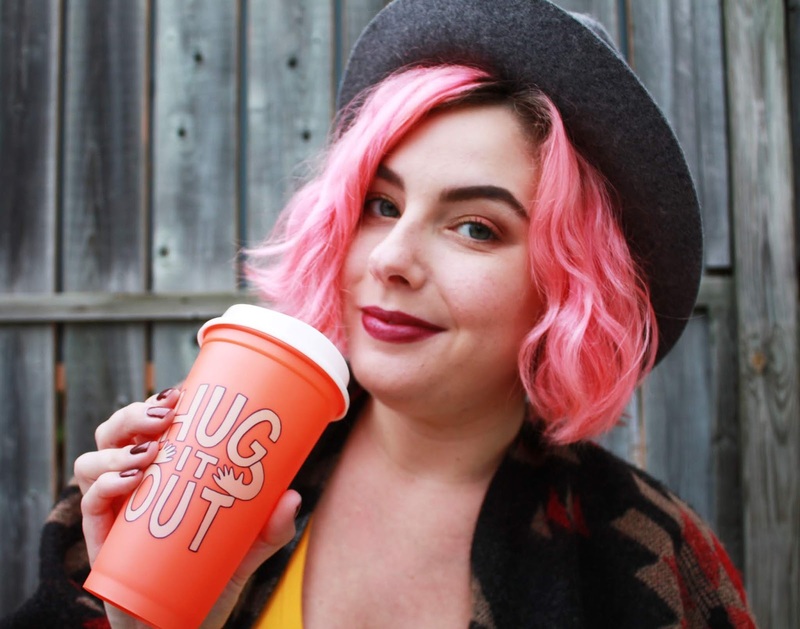 It's loaded with 16 shades in matte and shimmer finishes, that perfectly coordinate with the autumnal rainbow we see currently falling from the treetops. Best of all is its drugstore price tag of $9.99 - such a seasonal steal! 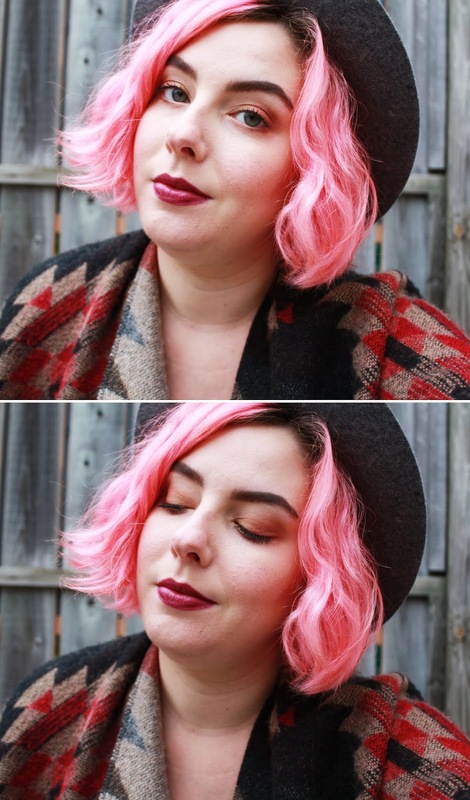 Drugstore eyeshadow can be pretty hit and miss, in my experience. More often than not, I find them to be chalky and lacking in pigment. I keep my expectations fairly low, in lieu of this. Upon swatching these shadows, I was pleasantly surprised to see they have a nice buttery formula. While these aren't the best shadows I've ever used, there are still some gorgeous standout shades that I wouldn't expect to find at the drugstore. Cha Cha Sriracha, for example, is a bold, punchy red that is hard to find even in high end formulas! Top: Pumpkin Spice, Cha Cha Sriracha, Hot Chili, Mulled Wine, Party Thyme, Curry in a Hurry, Spiced Apple Cider, & Cinnamon Rolls. Bottom: Vanilla Bean, Maple, Chai Chai, Wild Pepper, Cayenne my Man, Coco Loco, Caramelts, & Habanero Honey. My favourites are definitely of the shimmer variety; Pumpkin Spice (because of course), Hot Chili, & Maple are so deliciously pigmented and perform beautifully. The matte shades didn't impress me too much based on swatches, but Coco Loco and Cinnamon Rolls blended out quite nicely on the eyes. That said, I do have similar colours in other palettes that I'd likely opt for before reaching for these again. I used Vanilla Bean all over the lid to start. I then put Coco Loco in the crease, and smoked it out with Mulled Wine. I put Hot Chili on the outer part of the lid, which I then layered with Curry in a Hurry on the centre lid, towards the inner corner. A touch of Caramelts in the inner corner for a pop of highlight, and Coco Loco again along the lower lash line to bring it all together! If you're looking for a budget-friendly way to incorporate warmer shades in your eye makeup, this is a decent choice. 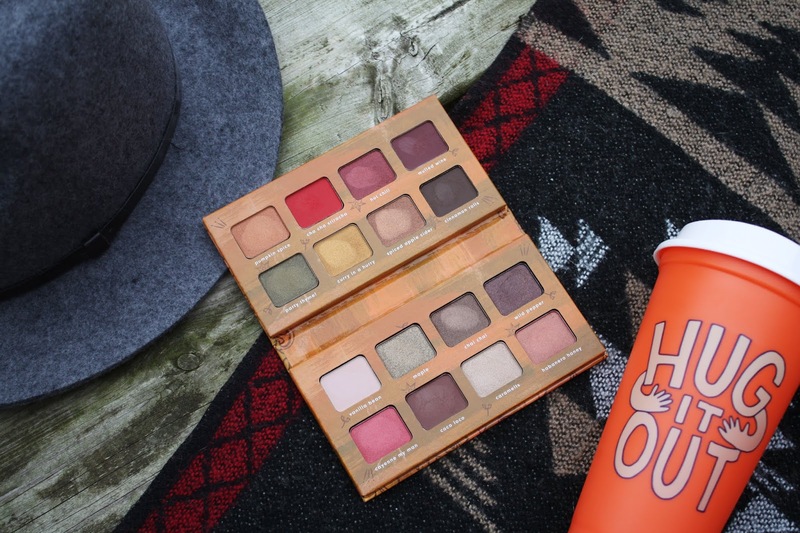 I'll even note that some of the shades in this palette are great affordable dupes for some Urban Decay Naked Heat palette shadows; Habanero Honey looks just like Lumbre, as does Hot Chili compared to Dirty Talk. Alternatively, Essence Cosmetics also has two other new releases; I'm With The Band palette if you prefer edgy, cool tones, and Fairy Wings & Magical Things palette for those seeking soft shimmery pastels. 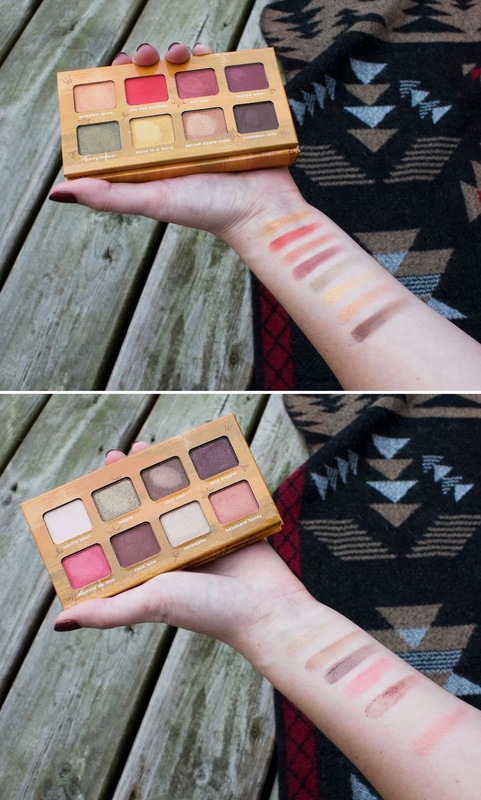 Will you be picking up this palette? Have you tried any other Essence Cosmetics products? Share with me in the comments! I've always been a huge fan of essence products, especially their nail polish! I've been interested in the Fairy Wings & Magical Things palette, but I just can't bring myself to buy it right now because I already have two palettes at home waiting to be played with. I love their nail polish, too! Especially the Out of Space Stories line!